A few Christmases ago my mOm gave a cute knitting kit of knitted flowers for embellishment, decorations or pins and jewelry. The yarn is in every color of the rainbow and the patterns make the cutest things! I tried my first one and really like it, despite the trickiness of knitting an inch of i-cord and having to turn it inside out! Really, inside out, it was really a pain. This little flower sits on my monitor stand at work and makes me smile every day. 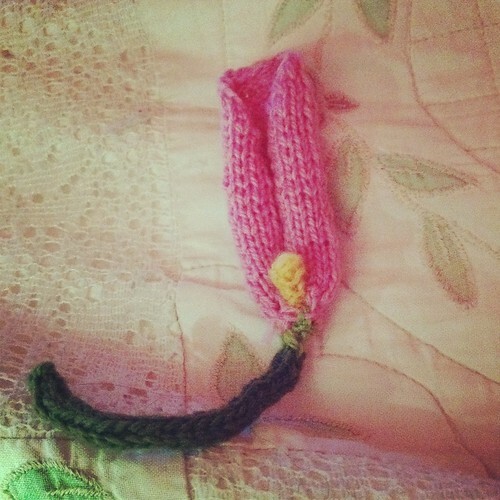 I really should knit more of them, they would make perfect whimsical gifts. Posted in knitting and tagged art, decorations, flowers, gift, knitting, whimsy. Bookmark the permalink. Occasionally when I am working on a scarf or a sock some people question me why I am knitting something that takes so long to make and costs so much compared to buying it. Besides the obvious answer to these unenlightened individuals, the question keeps popping up in my mind: Why Do I Knit? I started knitting during a time in my life when there were so many things happening that were out of my control and were very stressful. Learning or relearning a difficult skill such as knitting during a stressful time may not sound like a great idea but I found the distraction and concentration on something I could control very helpful. 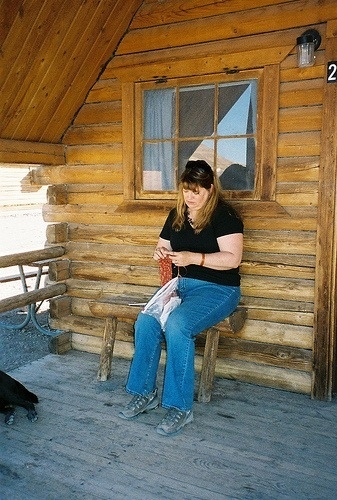 Handling soft fuzzy yarn in pretty colors and the feel of the satiny wooden needles in my hands was pure pleasure. I also felt confidence in myself as I solved problems and created a beautiful garment from “string and sticks”. It feels good to do something for which you have a knack. But there was something else, another reason that I just couldn’t find the words to express, until today. My dear friends C___ and D___ gave me a great book for my birthday and I had a lovely morning reading it and sipping coffee snuggled in my new shawl, warming me from my damp hair around my shoulders. My eyes fell on a page about Melanie Falick, a well known author of several iconic books on knitting. Finding a truism of your feelings expressed so eloquently in someone else’s words brings home the community that exists between knitters. We all exhibit similar generous and caring tendencies, we create and give love handcrafted in the form of fiber, we appreciate the art and genius of others and we very often have the same feelings about our own art, what it means and why it is important. It is a remarkable thing. This is why I knit. 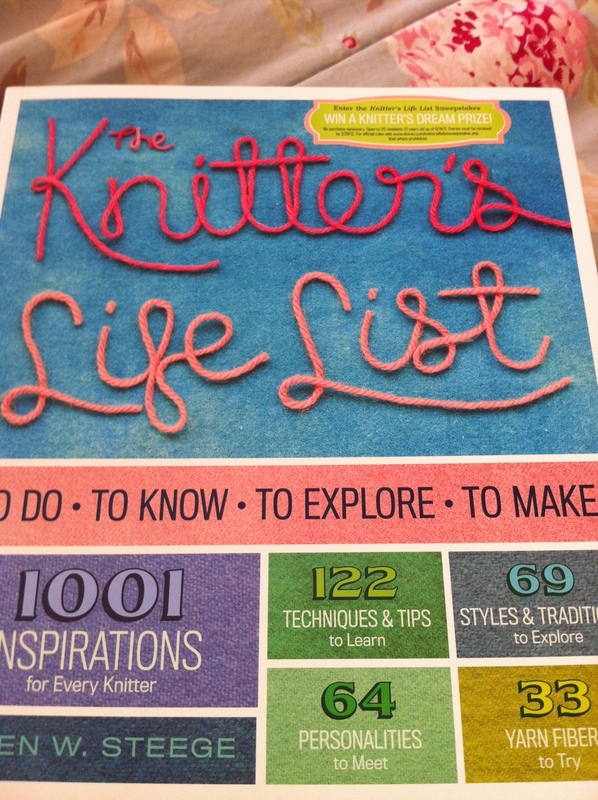 Posted in knitting, Uncategorized and tagged art, community, Gwen Steege, Knitter's Life List, knitting, meaning of life. Bookmark the permalink. Today chatting with my Twitter friends and blog surfing I came across this adorable pattern that made me want to go home instantly and start knitting. 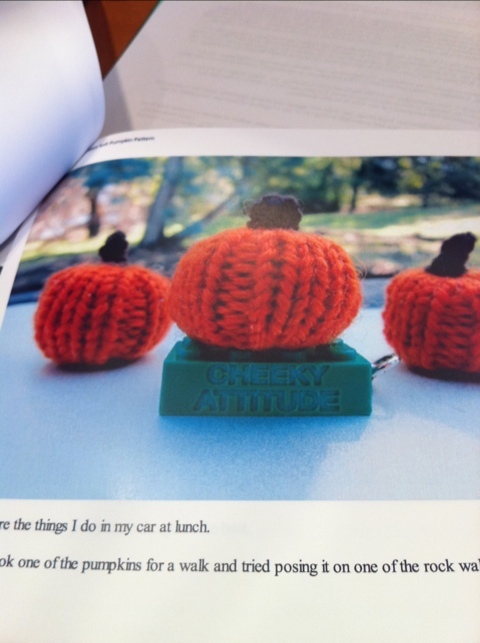 Please read the darling Cheeky Attitude blog and look at her pattern for Wee Knit Pumpkins. Tonight I am going to rummage through my yarn stash and pray that I have some orange yarn. The Thanksgiving table is going to be awfully cute this year! Posted in knitting and tagged art, blogs, decorations, holiday, inspiration, knitting, pumpkins, Thanksgiving. Bookmark the permalink.